This recipe is sooooo yummy. It’s from Vive Le Vegan by Dreena Burton. I’ll be posting more by Dreena…she is fabulous. It was pretty quick to make…and we had leftovers . These are great for people who need to take a lunch with them to work…I just wrapped them up in foil for Matt and he re-heats at the office. Delicious. I did leave out the chipotle hot sauce. I used Follow Your Heart vegan mozzarella cheese…and put a strip of it inside each burrito and crumbled it on the top as well. It was very tasty. Topped them with the Creamy Avocado Cashew Sauce (see below) and homemade salsa. You’ll definitely make these more than once. Press the drained tomatoes to remove as much liquid as possible. Set aside 3/4 cup of the tomatoes. In a large skillet over medium heat, heat the oil. Add the onion, garlic, salt, pepper, chipotle hot sauce, and all the dried spices and hers. Stir through for 5-6 minutes, then add in the green pepper and celery, and stir through for another couple minutes. Stir in the remaining ingredients, including the diced tomatoes (except reserved portion). Cook for a few minutes, then remove from heat and cool. Preheat over to 375 degrees. Spoon about 1/6 of the cooled filling into each of the the tortilla, leaving a few inches around each edge. 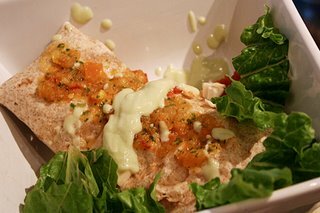 Bring the bottom edge over the top of the filling, and begin to roll up the burrito, tucking in the sides as you go until fully rolled. Place the burritos, folded side down, in a lightly oiled 9 x 12 pan. Sprinkle the reserved diced tomatoes over the top of the burritos. Cover with foil and bake for 15-17 minutes. Remove foil, sprinkle on the optional soy cheese, and bake uncovered for another 5-7 minutes until the tops have browned lightly and cheese is melted. 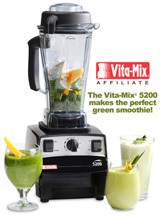 Combine all ingredients in the blender and puree until very smooth. Adjust to taste with additional sea salt/pepper. If you don’t have lemon juice, you could use some apple cider vinegar or rice vinegar, but you won’t need as much, about 1 1/2 T.
This looks amazing! I totally want to make it soon. Or I’ll come to your house and we can make it together. We made these burritos last night and they were fantastic. Thanks for posting this recipe!